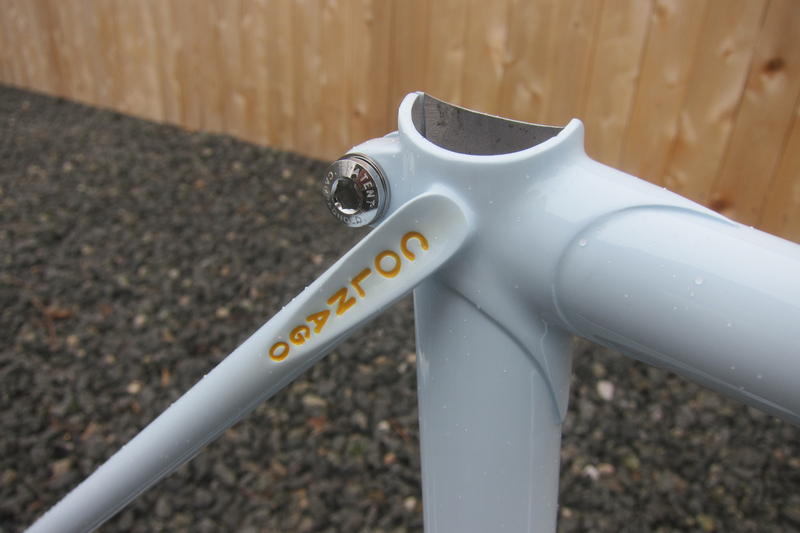 Sandy is one of those guys who has trouble just walking into a shop and buying an XL carbon road frame and making it fit. 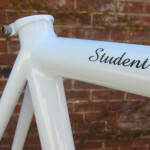 If anyone needed a custom bike, it was him. 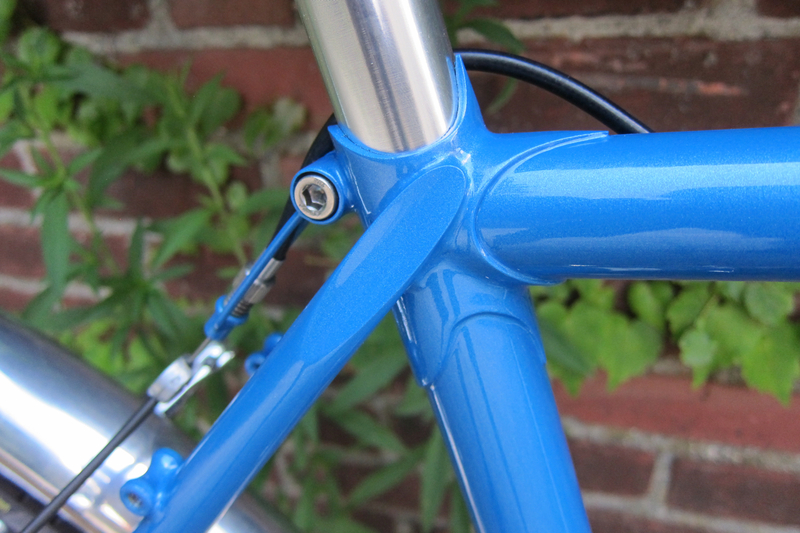 It makes me feel so good when I’m able to build a frame like this. 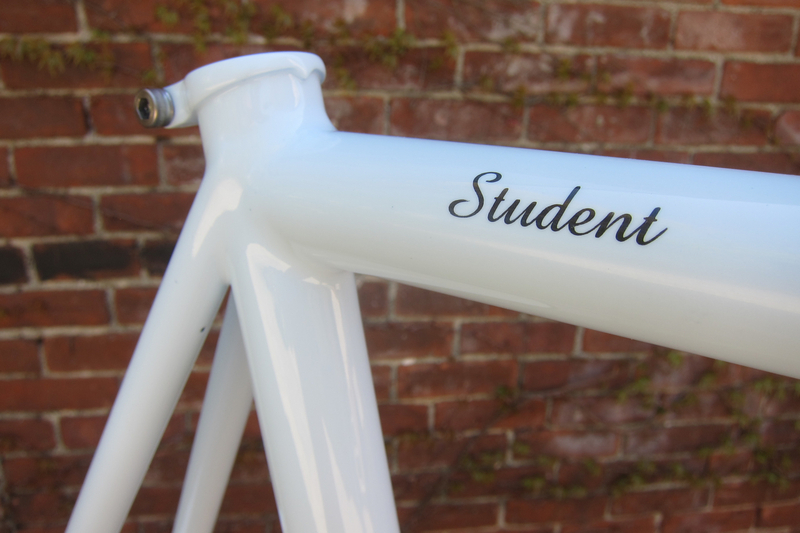 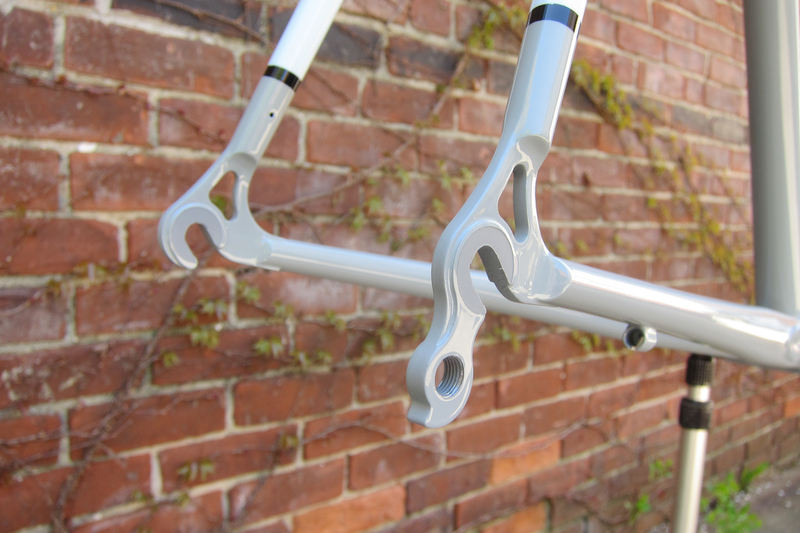 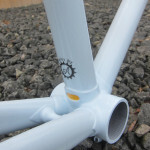 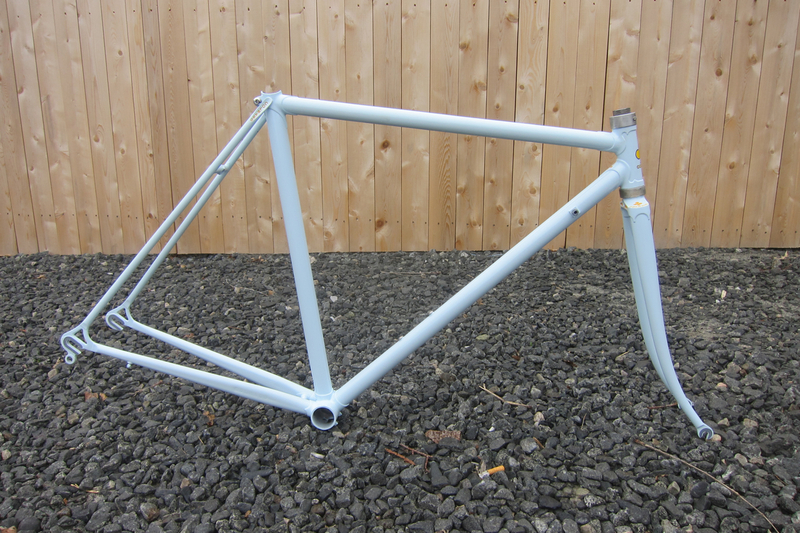 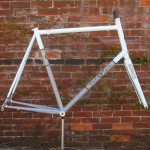 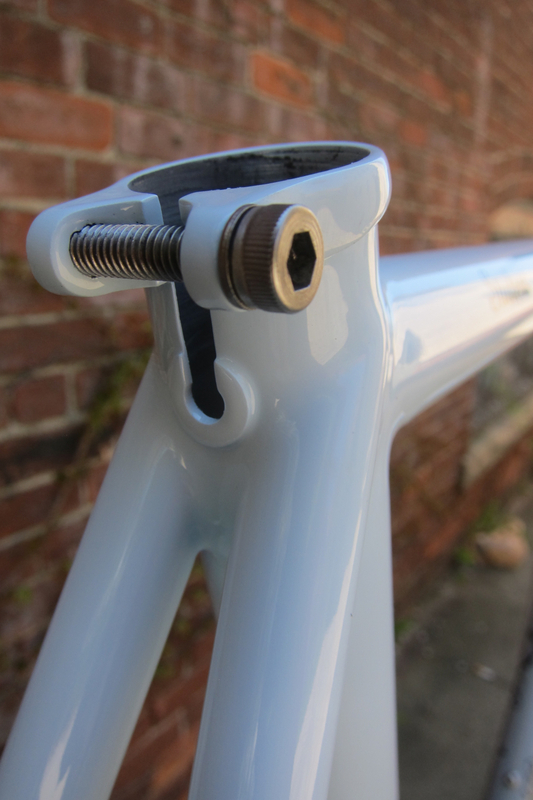 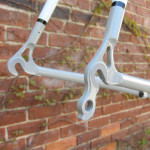 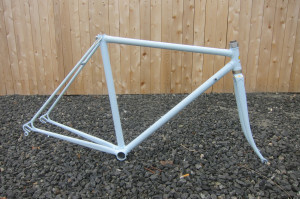 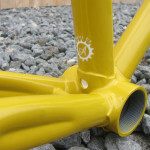 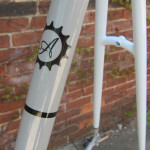 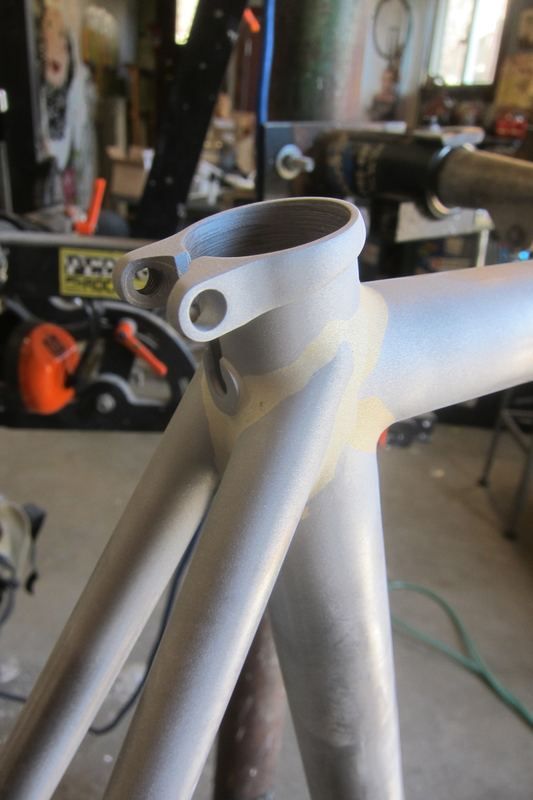 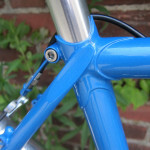 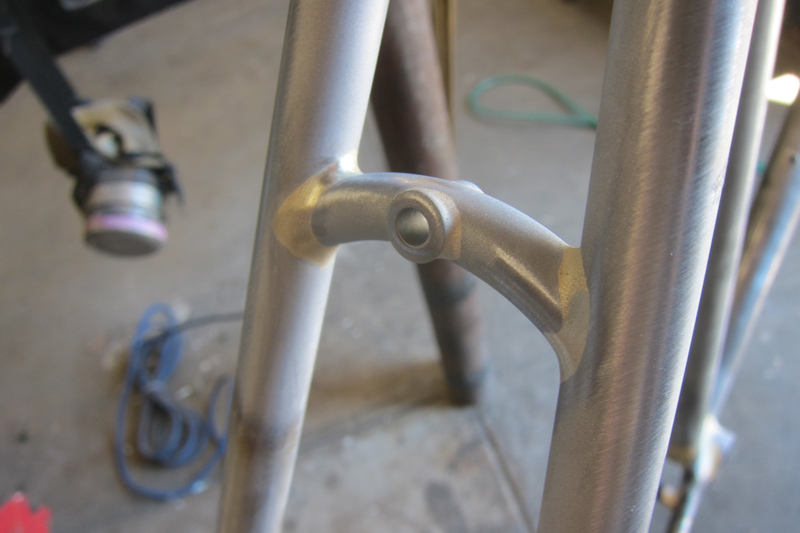 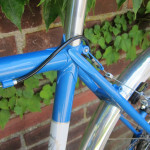 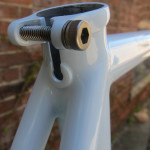 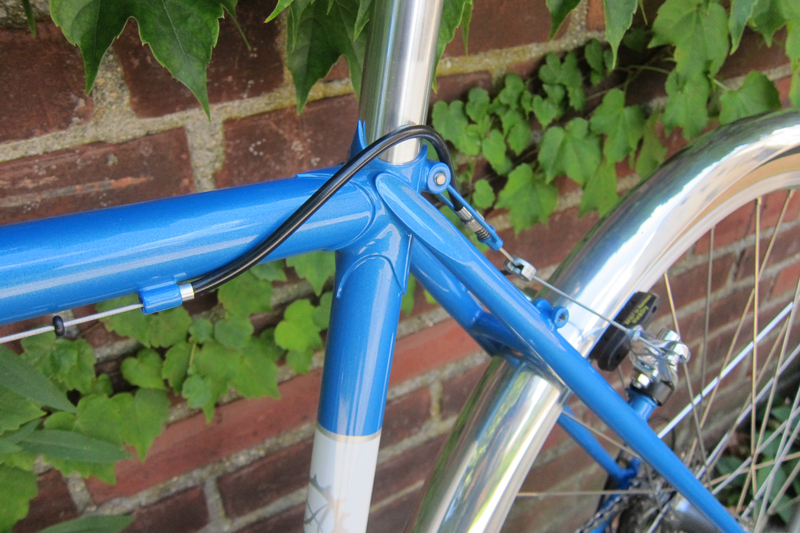 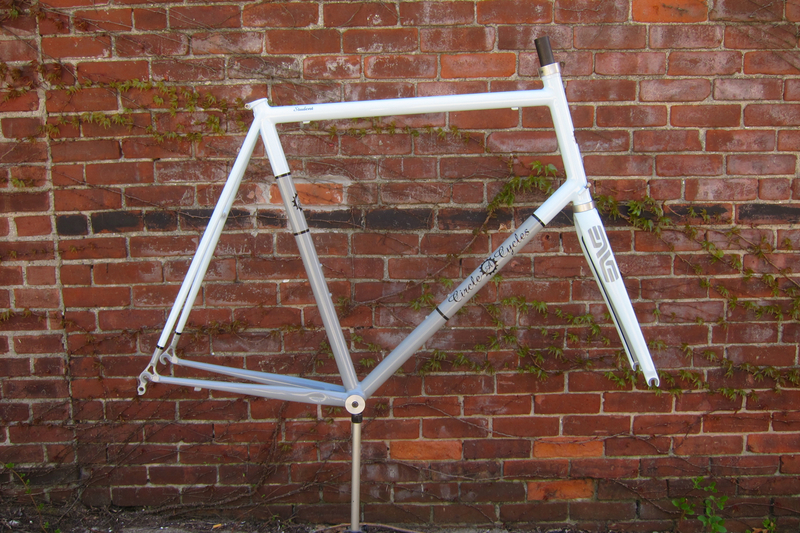 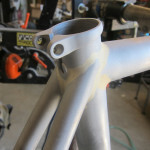 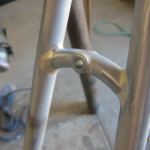 The frame is fillet brazed with True Temper OX Platinum tubing throughout. 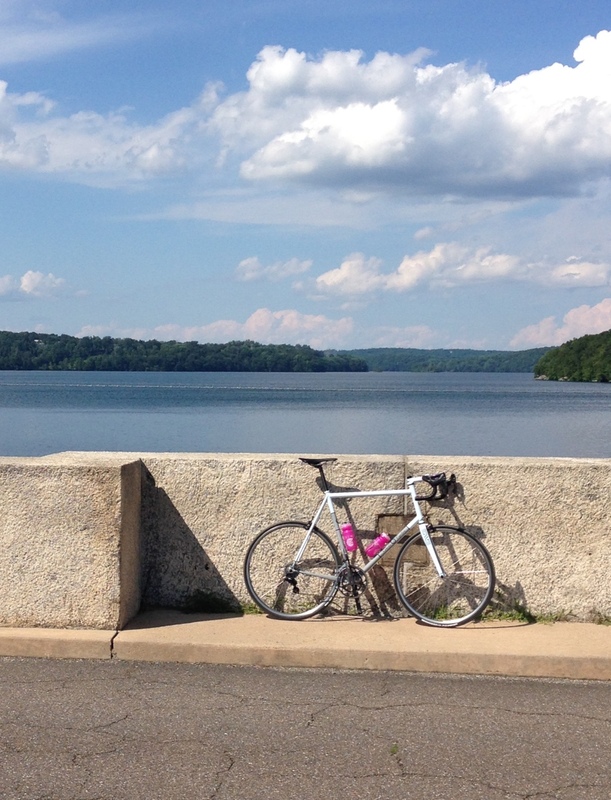 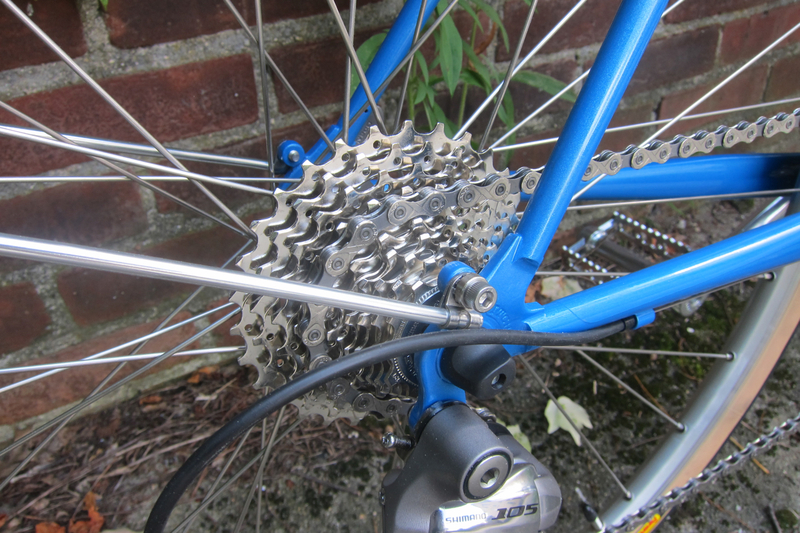 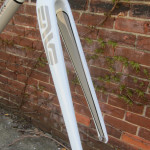 It is double oversized to add a bit of stiffness and to be proportional on a bike this tall. 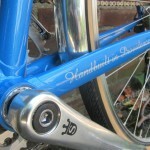 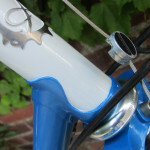 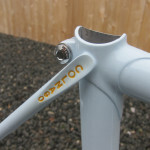 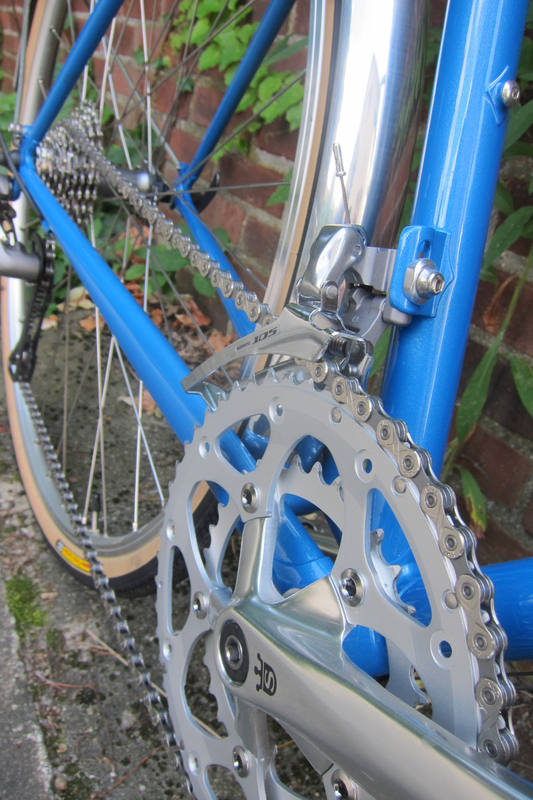 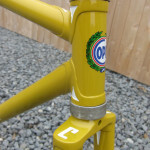 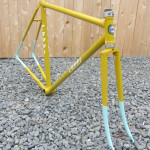 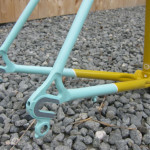 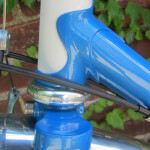 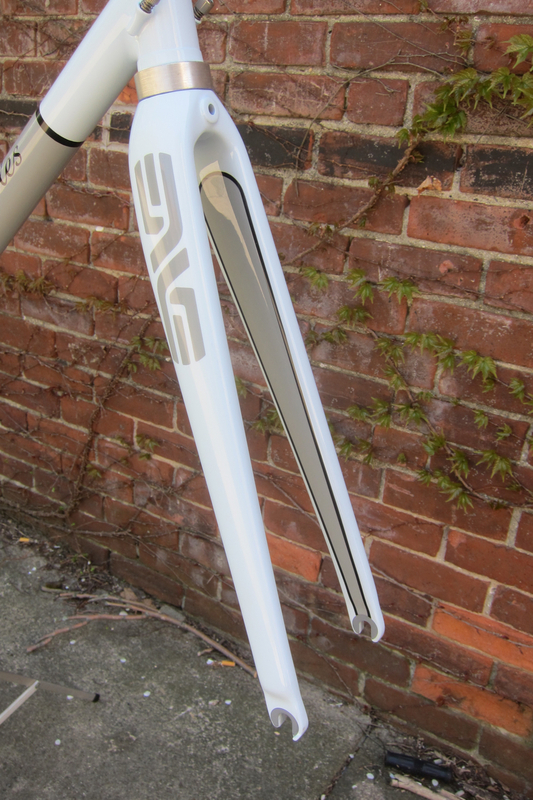 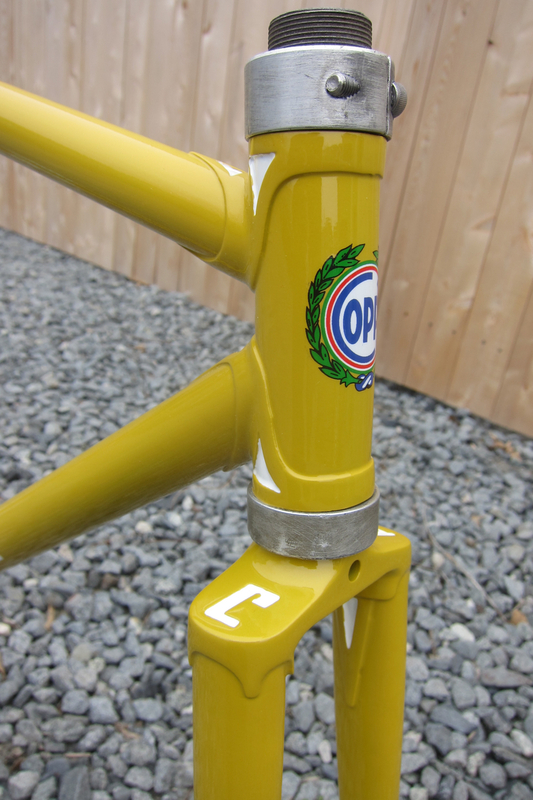 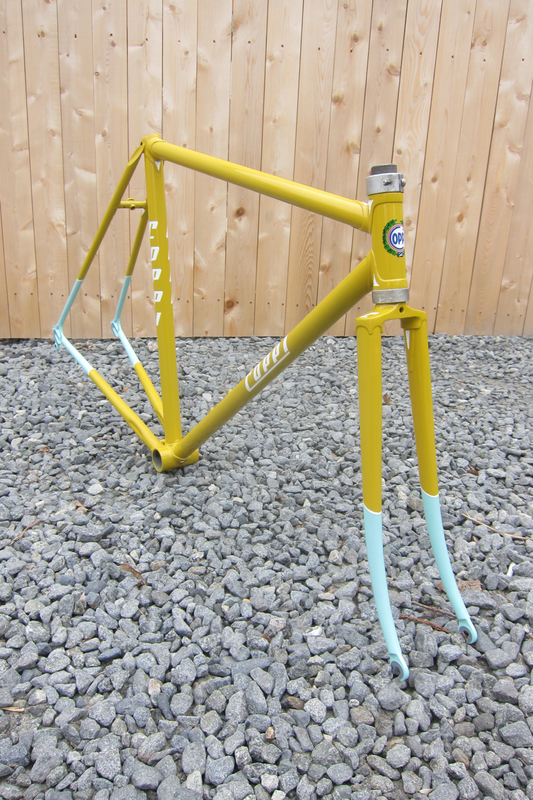 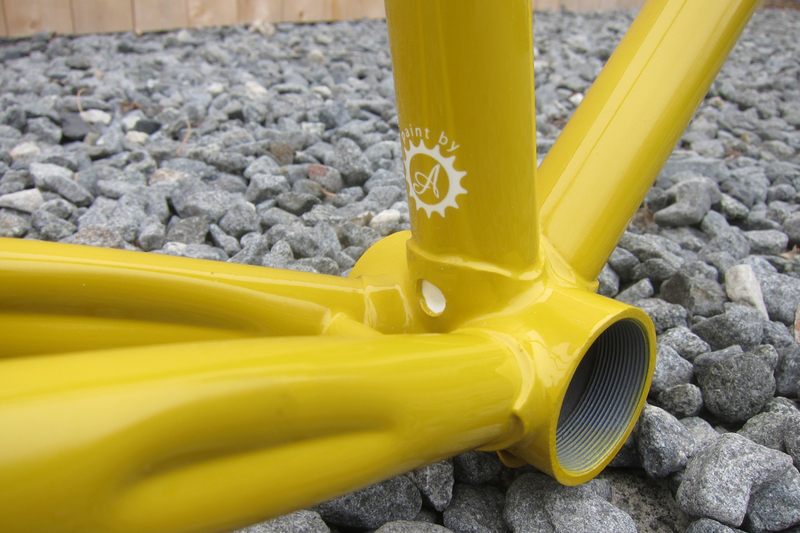 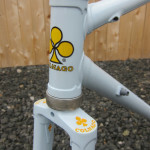 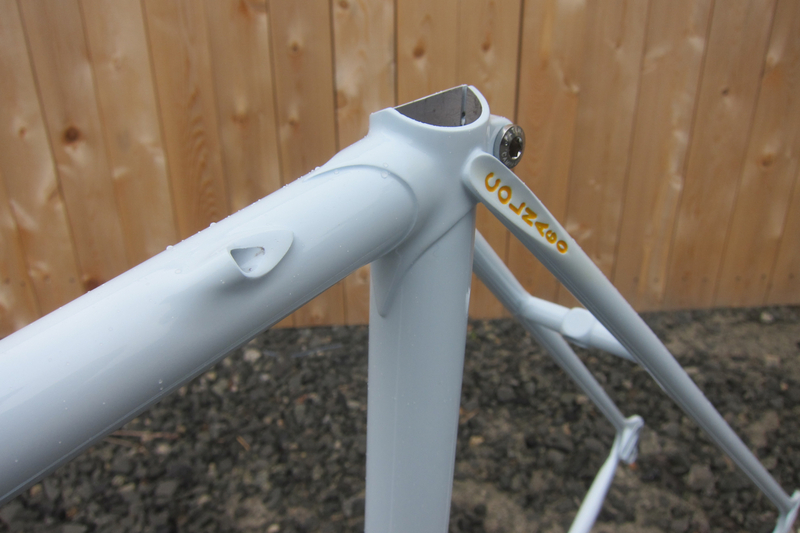 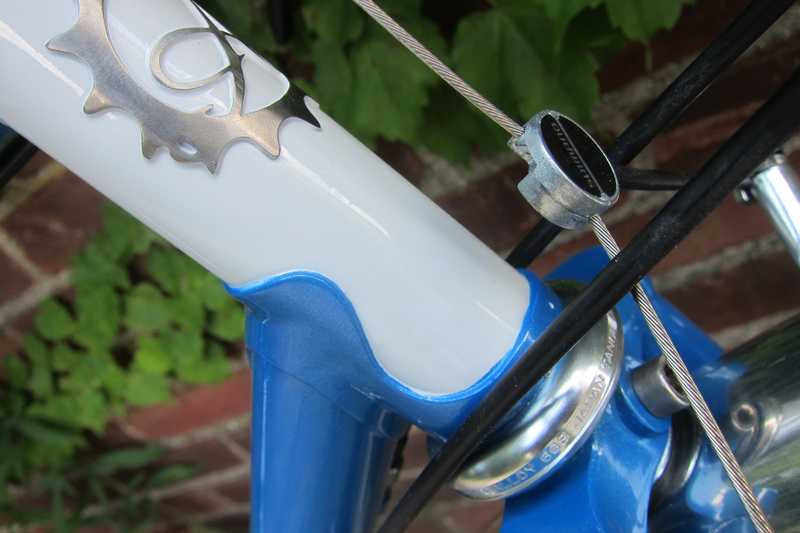 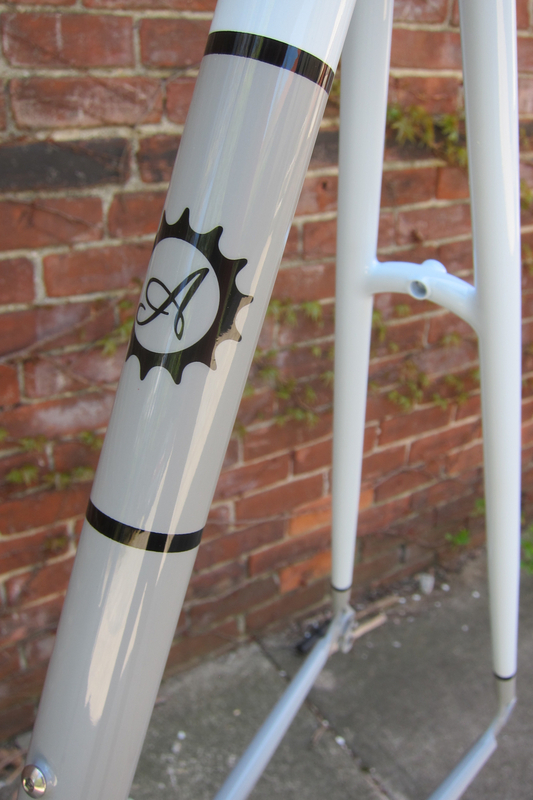 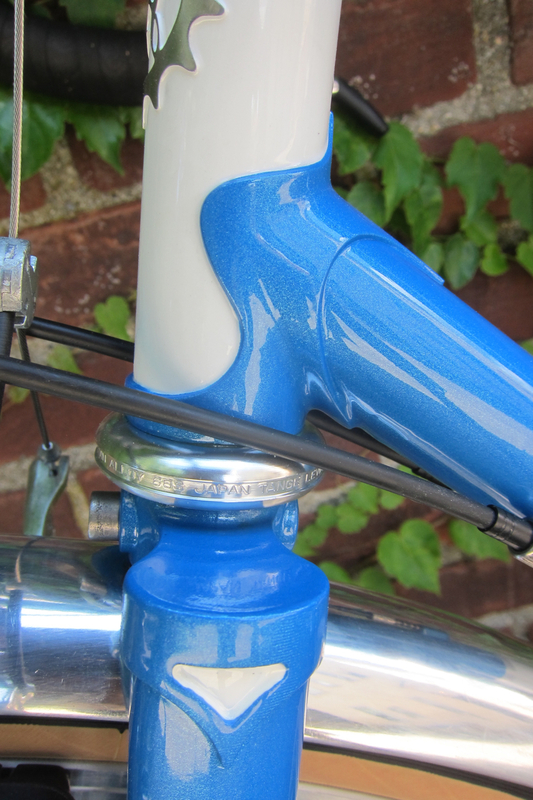 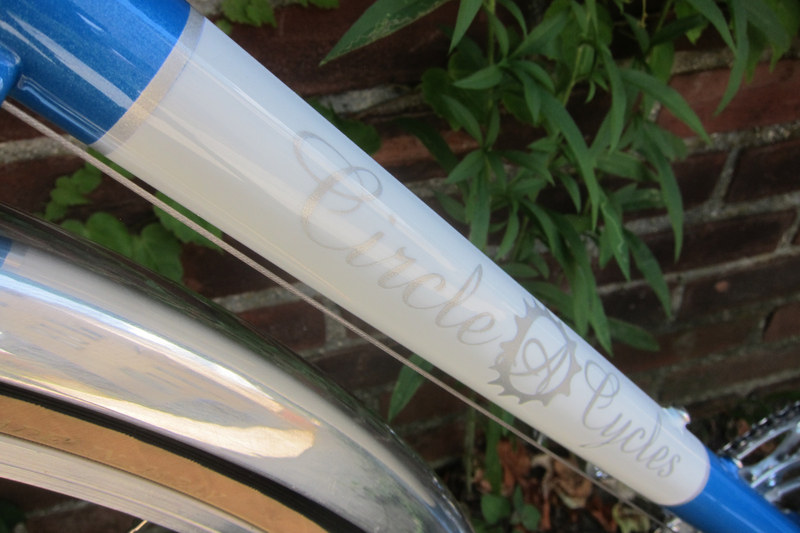 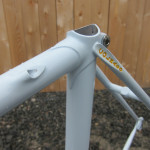 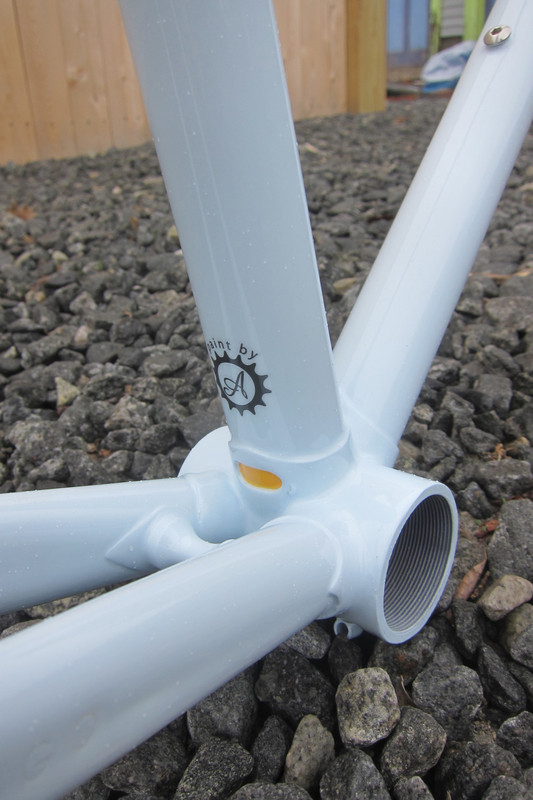 The ENVE fork was painted to match and he built it up with Campagnolo Chorus. 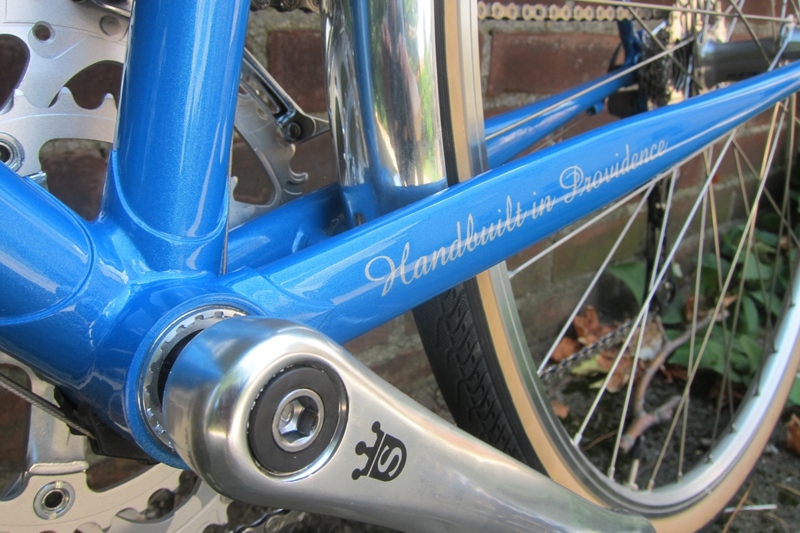 He’s getting some good miles on it and it is clearly taking him to some beautiful places. 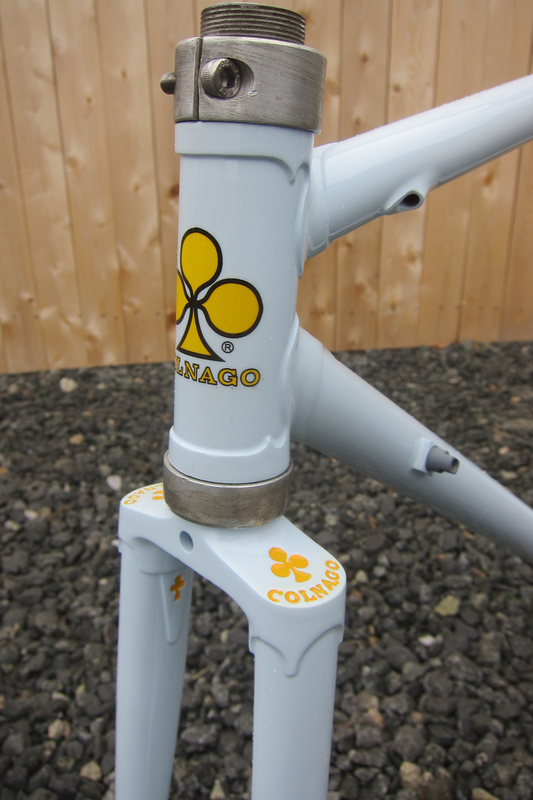 This Colnago repair came to us from far away for some internal cable routing, shifter bosses, water bottle bosses, frame alignment, dent repair, and dropout straightening. 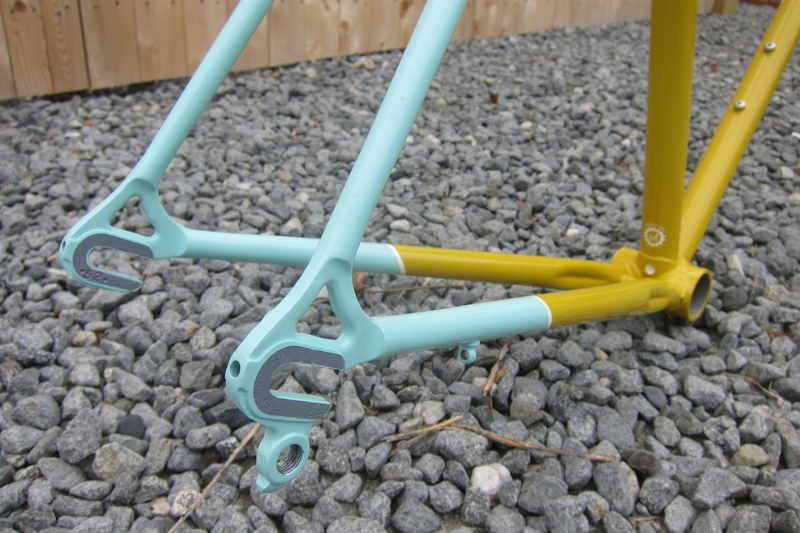 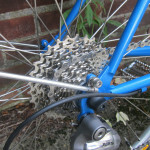 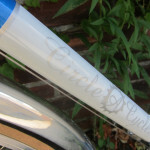 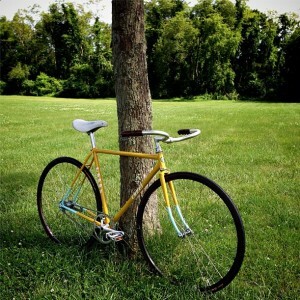 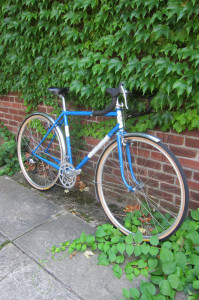 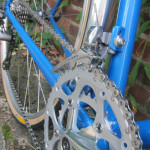 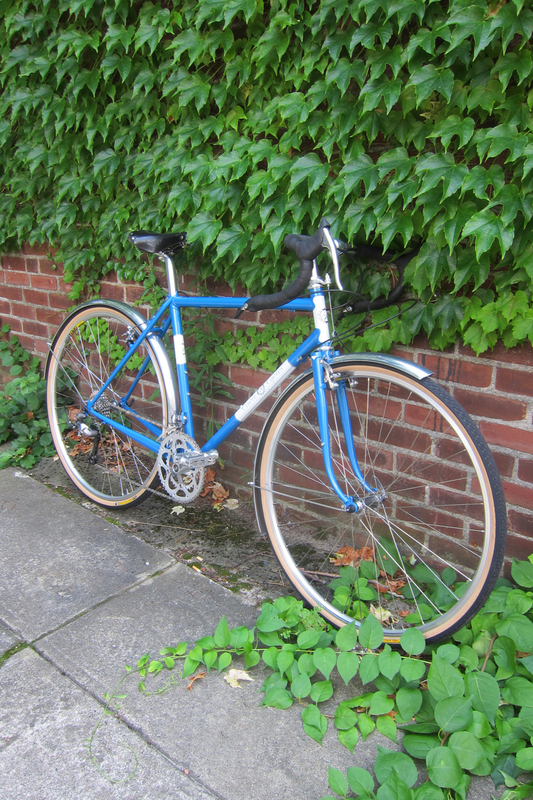 A solid light blue with yellow pantographing and it’s back on the road!